FILTOM Inc. - ENGLISH | FILTOM INC.
FILTOM is an innovative R&D company established in 2014 to explore a new-generation membrane technology called “PD separation”. PD separation method, is similar to our human body’s separation system, especially to the way kidney functions, which is exchanging fresh nutrition and ions in low energy and high efficiency. Our mission is to supply fresh nutrition as cosmetic products and also, in future, to supply even pure water made from sea water by the technology. – As for the methods of purchase, there are 2 way of the Amazon.com and our shopping site introduced at the end of the page. Currently, we are supplying cosmetic products as fresh nutrent for skin extracted by the PD separation. The Placenta C6 Series contains the non-heated purest placenta which is filtered the PD separation to extract all nutrition like EGF (Epidermal Growth Factor) and to remove bacteria and virus from law pig placenta. There are 3 features. 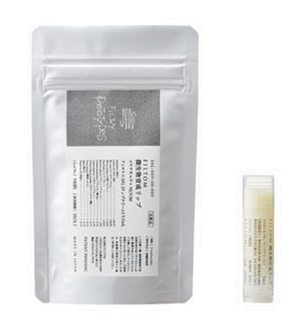 1st, the non-heated purest placenta contains high concentration of EGF. According to our study, a fresh law pig placenta contains 205 pg/ml, and FILTOM’s non-heated placenta contains 148 pg/ml which is over 72 % of a law placenta. But a heated placenta has almost no EGF. That means the non-heated placenta contains not only EGF, also all fresh natural nutrition like amino acids, vitamins, minerals and so on our skin system needs. 2nd, C6 series doesn’t contain non valuable substances for our skin, like new developed chemical substances which doesn’t exist in our body system. C6 series had been developed with only well-known substances in our body system and to help our skin to recover natural metabolism which is sometimes damaged by artificial chemical substances. 3rd, we manufacturing the placenta C6 series from the most fresh pig placenta which is delivered in 3 days to 1 week from inside of the same Fukuoka prefecture. And final products are delivered to customers in 3 weeks to some months in the fastest case. we believe it’s the most fresh placenta skin care product in the world. Only fresh nutrition can recover our skin trouble same as our daily food life. The new gel type pure soap has been developed by the energy-intensive techniques to make solid soaps be soften gel. The FILTOM Facial Pure Soap Gel is the gentlest facial soap, especially suitable for the FILTOM Placenta C6 Sries. Skin lotion which has the same ingredient constitution as the C6 Serum. The hydrophilic skin layer treated by the C6 Water leads nutrient deeply in stratum corneum. It can also be used for hair and head skin. The C6 Serum contains 50% of the non-heated purest placenta extract. The high concentration placenta helps more nutrition to be delivered to the inside in stratum corneum. The C6 Serum also contains high concentration ceramide, hyaluron acid and squalane necessary for smooth skin. ※ The milk origin material is being used for the part of the ingredient. ※ There is a smell peculiar to placenta, but it’s no problem in the quality. ※ When the room temperature exceeds 40 ℃, please keep in a refrigerator. ※ Please shake well before usage to avoid precipitation. 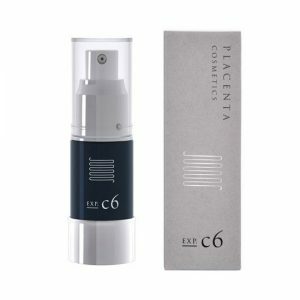 The PLACENTA C6 cream changes itself on our skin. A typical emulsion has large sized micelle with surface activating agent to keep stabilize the emulsion. Yet the new style Water release emulsion can release water solution on our skin to bring the activated protein inside the skin. For more detain of the products and directions for use, please open the ink. Note : Please do not use it when there is abnormality such as scar / eczema. Please use carefully as to whether there is abnormality on your skin. If your skin does not fit, please discontinue use. If irritation, itching, irritation, etc. abnormality appears, please consult a specialist. Storage: Store cool and dark place. It’s the official onine shop of FILTOM, but only in Japanease(with English Instruction). For English Instruction to purchase, please open the link. ©FILTOM inc. All rights reserved.